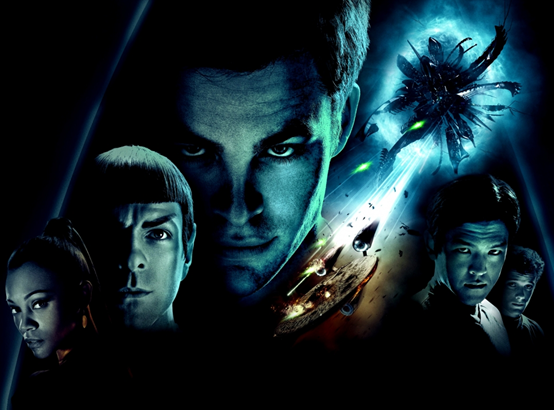 J.J. Abrams is well known for keeping things pretty tight lipped about his films until they reach their release, and the sequel to his 2009 Star Trek reboot 'Star Trek Into Darkness' is no exception. While little has been known about the film so far other than casting and speculation, we finally have an actual plot released for the film, which also gives hints as to who really is the villain Benedict Cumberbatch will be playing in the film. Now the plot obviously doesn't get to in depth on anything, but it does give a base to start on especially for what exactly Kirk and his crew will be facing this time around. Now Sherlock star Benedict Cumberbatch was casted in the villain role way back when, and automatically the first villain that he was rumored to be playing was none other than Khan, from the famous Star Trek film The Wrath of Khan. While many other actors that fit the Khan part had been up for the villain role such as Benecio Del Toro and Edgar Rodriguez, Cumberbatch really doesn't fit the bill in comparison to Ricardo Montalbán who orginally played the role back in 1982. Gary Mitchell appeared in the original Star Trek TV series, in an episode titled “Where No Man Has Gone Before.” It is the third episode in the original series (but was made as a second pilot), and chronicles a tale in which the Enterprise crew discover the record log of a long-lost ship at the (literal) edge of the universe. While there, the Enterprise experiences a strange phenomenon that transforms two crew members – one being Kirk’s longtime friend from the academy, Gary Mitchell – into beings of immense psychic ability. These new powers quickly corrupt Mitchell, who proclaims himself a god; when Kirk and Spock try to strand the power-crazed crewman on a remote planet, it results in a confrontation that claims lives, and forces Kirk to kill his old friend to save the universe. Now the character sure as hell fits the description given in the plot summary, as not only did Mitchell come from their own organization (We've also seen set photos of Cumberbatch wearing a Star Fleet uniform fighting Zachary Quinto's Spock which further supports this theory), but he also convey well be considered a one man weapon of mass destruction given the powers he is given. 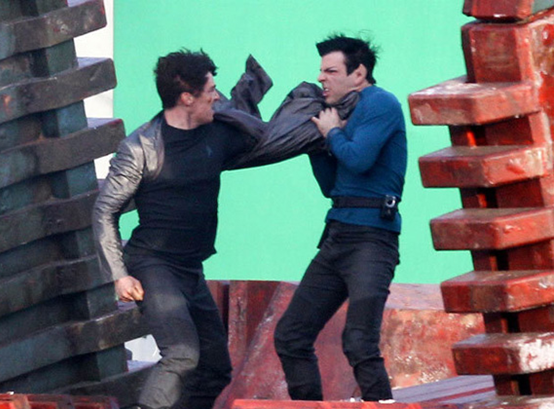 Even Star Trek star Karl Urban who played Dr. Bones McCoy a few months back had let slip the Mitchell was the villain, although it's been said Urban has a knack for misleading the media. A couple of other things worth noting from the revealed plot is the line about Kirk's crew being his only family. 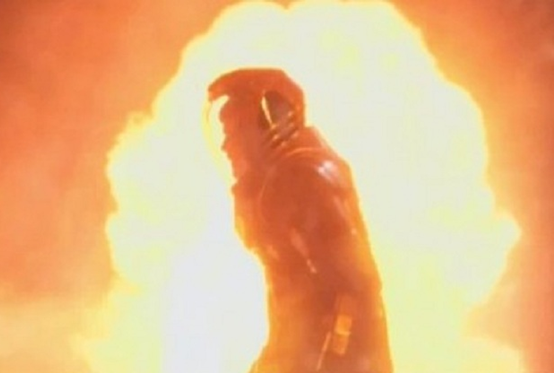 Now as we saw in the first film, Kirk's father played by a pre-Thor Chris Hemsworth was killed in a space ship crash during James Kirk's birth. While Kirk's mother was still alive in the film, she didn't play a very large role, but this synopsis seems to apply that she has died between the two films or will die in Into Darkness. There's also the line about a war zone world where Kirk will be facing the villain, which could be the volcanic type land we've seen in set photos and Abram's seconds of Into Darkness footage. In the original Star Trek TV show, Kirk confronted Mitchell and a baron planet, which while not volcanic (Something that just could've been done for a more cinematic and exciting feel for the film) could very well be a version of it. 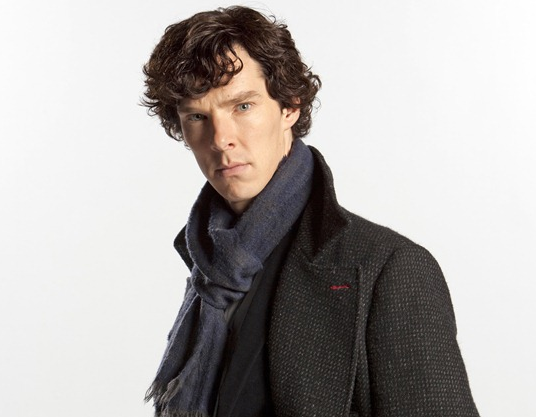 What do you think of Cumberbatch as Gary Mitchell?Who do you think he's playing?